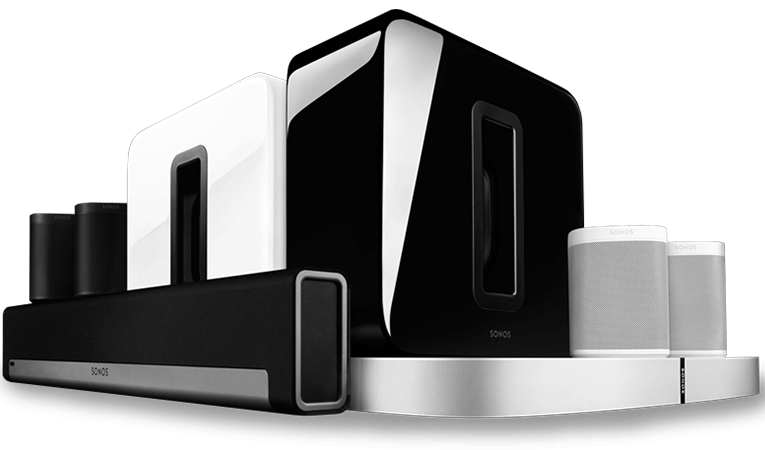 When it comes to home audio system’s no one is more distinguished than Sonos. They have a wide variety of products, an all-encompassing app and easy to set up in every room. But how did Sonos become number one? Let’s explore Sonos history and how they became the number one in-home audio. Sonos was founded in 2002 by John MacFarlane, Tom Cullen, Trung Mai, and Craig Shelburne. These four music enthusiasts were convinced that the days of having multiple wires behind furniture just to achieve decent sound were going to be a thing of the past and that music streaming would be the future. The vision was simple: Help music lovers play any song anywhere in their homes. This was a bold vision for the time. In 2002, iPods had taken the world by storm leading to more music being consumed by headphones. But the young company still believed in the future of streaming. They had just one problem; technology had yet to catch up to their vision. While waiting for Streaming to catch on Sonos released their first product, the ZP100 (today known as the Connect: Amp) in January 2005. Since virtually no music streaming service was invented at the time, the ZP100 could also play ribbed CDs and MP3’s from a computer’s hard drive. Even though the product was far from Sonos’s final vision, the ZP100 still received universal acclaim for being wireless and for how easy it was to install. In 2007, technology took a big leap towards Sonos vision when they Apple released the iPhone. The company invented a Sonos App to act as a controller for their musical devices. Today the easy-to-use app is one of the highlights of the Sonos experience. The Sonos app helps you quickly search through all your services to track down favorite music, send it to different rooms, and adjust the volume and other settings. You don’t even have to be in the same room. And if your friends have the Sonos app, they can do the same. 2013 was the final piece of the Sonos puzzle; the year that Streaming became universal. The dream that four young entrepreneurs had eleven years prior had finally come to fruition. Sonos was already ahead of the curb with its wireless products and user-friendly app and was ready to make good on their promise of helping music lovers play any song anywhere in their homes. Today Sonos is the wireless Home Sound System that fills as many rooms as you want with great-sounding music, movies, and TV. Stream via WiFi. With access to over 80 Streaming services, Sonos plays everything – the most popular streaming services, on-demand Internet radio, your favorite podcasts and audiobooks, your go-to collection of downloads – whatever you love to listen to. Yes, WiFi, not Bluetooth. It matters. Especially when the phone rings or the person with the music has to leave. With Sonos, the songs stream from your WiFi network (not your phone), so there’s never any of the dropouts, delays or interruptions associated with Bluetooth. Wifi continues to become more robust and reliable every day and is one of the reasons why Sonos rises above the competition. Today, Sonos has multiple products to bring high-quality sound to every room you enter. Let’s look at a few of Sonos’s offerings. Voted “The Best Multiroom Wireless Speaker System” the Sonos One blends great sound with Amazon Alexa, the easy-to-use voice service, for hands-free control of your music and more. The speaker's compact and versatile design makes it great for rooms where space is at a premium. Add that Sonos One is created to be intentionally humidity resistant, bringing sound to music starved places like bathrooms and outdoor patios. All you need is Wi-Fi and a power source. 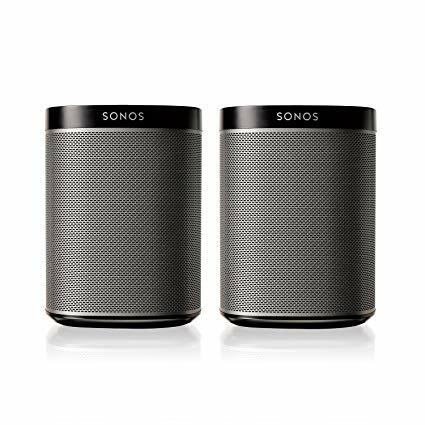 Sonos One is part of the Sonos sound system, so you can easily add more speakers to fill every room with sound. As with all Sonos products, the sound quality is of the utmost importance. Sonos One is backed by a pair of Class-D amplifiers and custom-built drivers, meticulously tuned for rich, room-filling sound. The Beam, the newest smart soundbar from Sonos plays music, TV, movies and more and features Amazon Alexa voice control! This amazing soundbar was even named one of the best soundbars for 2019 by PCMag. Offering exceptional dialogue clarity with speech enhancement, this incredible soundbar will elevate any ordinary living room into a movie-lovers dream space. And when the movie is over and the party starts to bump, conveniently play music via your iPhone with the Apple Airplay compatibility. The Playbar is the soundbar for epic home theatre. The Playbar can fit on your tv stand or can be purchased with our custom designed wall mount to easily and securely hang it. Backed by nine custom-built drivers, Playbar delivers rich, cinematic sound for all your movies, TV shows, sports, and music. Wouldn’t it be great if you could stream music using the speakers you already own? With Connect: Amp you can–and you don’t even need a receiver. It turns your favorite pair of passive (aka non-powered, non-amplified) speakers into a streaming machine so you can teach them some amazing new tricks. The best part is the setup is easy as can be. Attach Connect: Amp to your speakers using standard speaker wire. Plug it in. Connect it to your WiFi using the Sonos app for uninterrupted wireless music streaming. Sonos is the premium Home Sound System that will leave every room of your home filled with your favorite music, radio or tv. Come into Springboard Media and discover our extensive Sonos selection. Get a brand new Sonos today or check out our amazing pre-owned selection and get the sound your home deserves.